Earth 4 All (E4A) began life as a blog for a social network project, problems among the team led to a split and this website was transformed into a stand alone web magazine. The only founder member remaining being Bruce Fenton, the web master and chief writer. It was in 2014 that he was joined in the project by his beloved spouse Daniella, and with her support the website was brought back out of stasis in cyberspace to serve in its original purpose, ‘informing the global awakening’ that has been under way for a few years now. Other projects meant that the website was not fully utilised for its full purpose, often not updated for months. On June 1st 2015 Earth4All.net was relaunched with a fresh new look and a commitment to regularly provide visitors with new informative content. Bruce – Is the head researcher and writer, covering a wide range of subject areas but with a special focus in matters of controversial theories of ancient history and the realm of the supernatural. He also serves as web-master and developer for the site itself and is the main point of contact for enquiries. In his daily life he is a web administrator for a respected scientific research organisation. 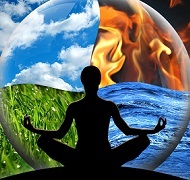 He also holds certificates in holistic healing modalities such as Reiki. Daniella – Is chief editor and also a feature writer, she also covers a wide range of subjects but loves mythological pieces and historical tales. With a background in international studies and a passion for journalism she is the backbone of the organisation. In her daily life she is a broker for Friesian horses and an editor for a popular web magazine. She is a gifted gypsy-card reader and a very effective ‘curandero’ or traditional healer.